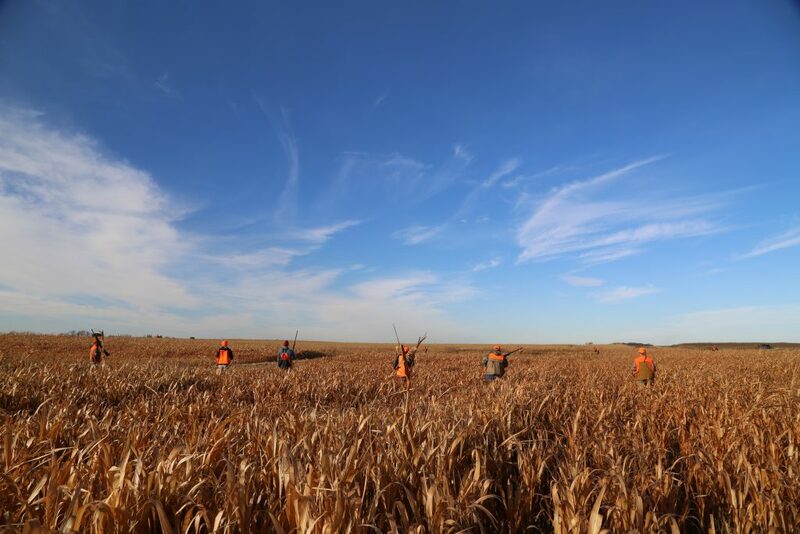 The Annual Buffenbarger-Walworth Flatlanders Pheasant Hunt and Trap Shoot, sponsored by the IAM Midwest Territory and held each year in the scenic flatlands of Aberdeen, South Dakota, draws pheasant hunters and trap shooters from across the country. 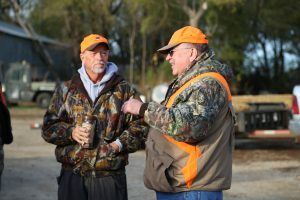 The Buffenbarger-Walworth Flatlanders Pheasant Hunt and Trap Shoot bears the name of former IAM International President Tom Buffenbarger, right, and former South Dakota IAM District 5 Directing Business Representative Dennis Walworth, left, two avid hunters who were both in attendance. The 3rd Annual Buffenbarger-Walworth Flatlanders Pheasant Hunt and Trap Shoot raised over $25,000 for Guide Dogs of America. The 3rd Annual Buffenbarger-Walworth Flatlanders Pheasant Hunt and Trap Shoot, sponsored by the IAM Midwest Territory, raised over $25,000 for Guide Dogs of America (GDA). See a slideshow of photos from the trap shoot and hunt. The Buffenbarger-Walworth Flatlanders Pheasant Hunt and Trap Shoot bears the name of former IAM International President Tom Buffenbarger and former South Dakota IAM District 5 Directing Business Representative Dennis Walworth, two avid hunters who were both in attendance. The event, held each year in the scenic flatlands of Aberdeen, South Dakota, draws trap shooters and pheasant hunters from across the country. All proceeds are donated to Guide Dogs of America, a non-profit organization supported by the generosity of individuals, foundations, corporations, and other organizations in its mission to provide guide dogs free of charge to blind and visually-impaired individuals in the U.S. and Canada. For more information on GDA, visit their website at www.guidedogsofamerica.org. For more information on the Buffenbarger-Walworth Flatlanders Pheasant Hunt and Trap Shoot, and other IAM Midwest Territory annual events to benefit Guide Dogs of America, visit www.SpiritoftheMidwest.org. 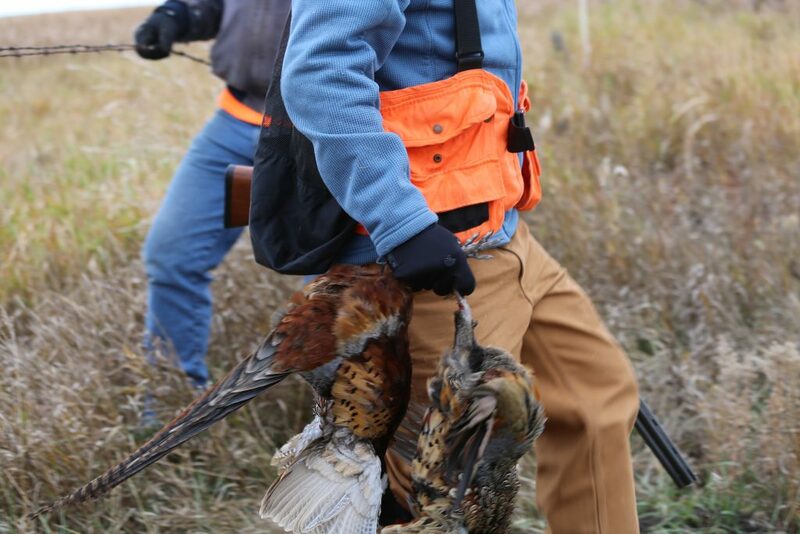 See slideshow of the 3rd Annual Buffenbarger-Walworth Flatlanders Pheasant Hunt and Trap Shoot in Aberdeen, South Dakota.